As the days grow warmer, things have also been heating up in my mailbox and the first couple weeks of March have brought some nice surprises. I’m ready for spring weather, and I’m ready for spring releases! My deepest thanks to all the wonderful publishers for the review copies received. For more details and full descriptions of the books, be sure to click the links to their Goodreads pages. Sharp Ends by Joe Abercrombie – Print ARC, with thanks to Orbit Books. I’m not a big reader of short stories or anthologies, but the fact that this is a must-read for me is an indication of just how much I adore Mr. Abercrombie’s work. Borderline by Mishell Baker – From the awesome folks at Saga Press and Wunderkind, I also received this amazing surprise in the mail. I had to pass on my chance to request Borderline from NetGalley earlier in the year, because I wasn’t sure if I could fit it into my reading schedule. But apparently fate insists that I need to read this book! And who am I to argue with fate, right? Now that I have it on hand, I’m definitely going to give this one a look. Oh, trust me, I’ll make the time. The Paper Menagerie by Ken Liu – Along with Borderline also came this gorgeous little gem. Ken Liu is another author whose anthology is something I’d happily drop everything to read. Thanks again to Saga and Wunderkind! Alight by Scott Sigler – While I had some mixed feelings about the first book Alive, I also can’t deny how badly I wanted to know what happens next. So you can imagine my excitement when an ARC of this sequel showed up one day. I’m dying to find out what Em and her friends will do! Big thanks to Del Rey. Marked in Flesh by Anne Bishop – Have I mentioned how much I love The Others series? I’m so glad I caught up last year. Really looking forward to this fourth installment. My thanks to Roc Books for the finished copy. The Courier by Gerald Brandt – Another beautiful finished copy, with thanks to DAW. Really looking forward to some cyberpunk action and adventure! This is author Gerald Brandt’s debut, and I’m excited to check it out. 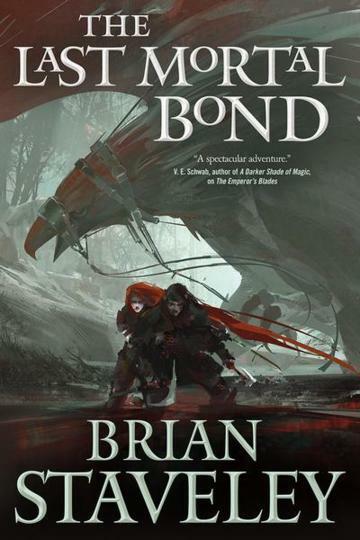 The Last Mortal Bond by Brian Staveley – This week, Tor also sent a finished copy of this epic novel. If you haven’t started The Chronicle of the Unhewn Throne trilogy yet, seriously, what are you waiting for? This third and final volume was fantastic, and my review will be up next week, so stay tuned. 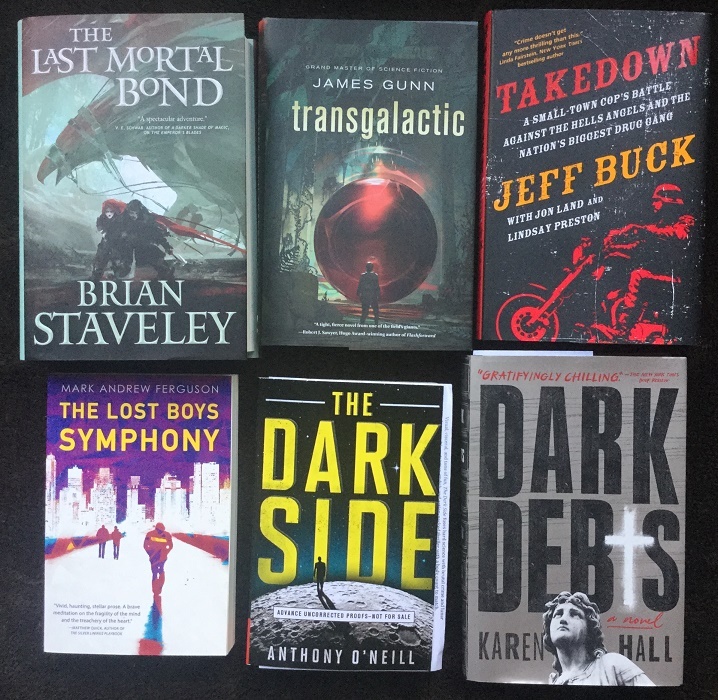 Transgalactic by James Gunn – Thanks to Tor as well for this sci-fi novel that wasn’t even on my radar before it turned up! James Gunn, called a grand master of science fiction, is an author I’ve never read before, and I need to remedy that STAT! Takedown by Jeff Buck with Jon Land and Lindsay Preston – Another surprise, this time from the awesome folks at Forge. The subtitle says: “A Small-Town Cop’s Battle Against the Hells Angels and the Nation’s Biggest Drug Gang.” While this isn’t my usual fare, I figure I can still help get the word out. So, if you’re a reader interested in biographies/memoirs about organized crime and law enforcement, you might want to take a look. The Lost Boys Symphony by Mark Andrew Ferguson – My thanks to Little, Brown and Company for sending me this fascinating novel! 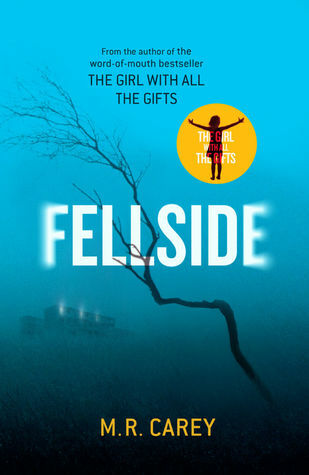 The paperback is out this week after its original release last year, and the reviews I’ve seen have been very positive, even though everywhere I look they’re all saying things like, “I can’t give too many details without ruining it!! !” Of course, that mystery only makes me even more curious, along with the promise of a mind-bending look at time travel. 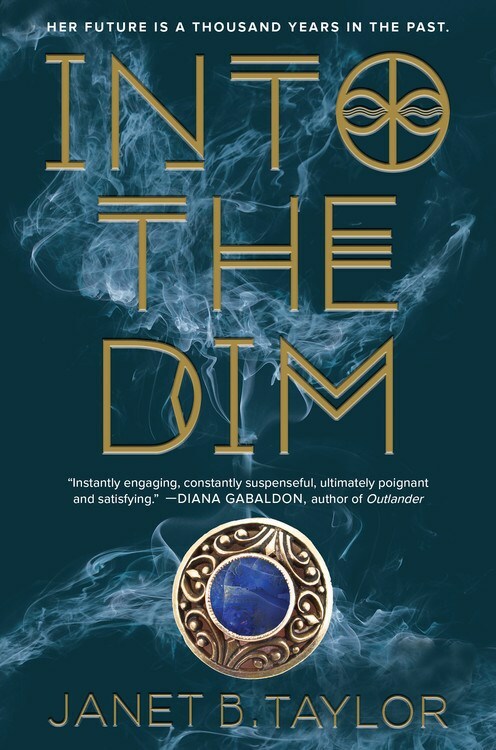 The publicist is also looking to reach out to more bloggers, so if you’re a reviewer in the adult sci-fi/lit community and this book speaks to you, let me know! 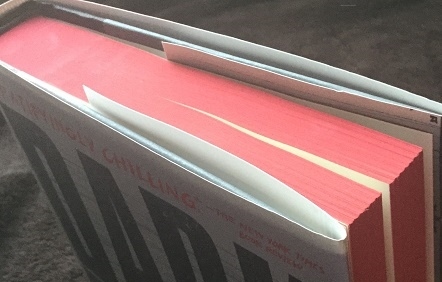 The Dark Side by Anothony O’Neill – This surprise ARC showed up in the mail courtesy of Simon & Schuster earlier this month, but it was already on my radar. I’ve heard that The Dark Side is going to be adapted into a movie, which was what got me interested in the first place, but I also love the sound of a sci-fi noir/crime thriller on the moon. It’s very eye-catching. I hope what’s on the inside will be just as delectable. 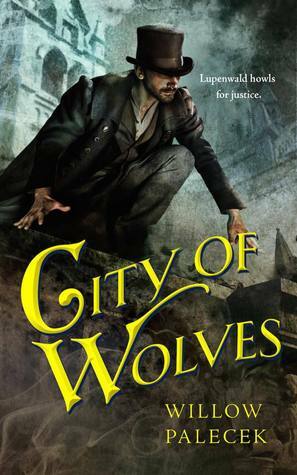 City of Wolves by Willow Palecek – Another fantastic looking novella from the great team at Tor.com. The huge variety in their line-up never ceases to amaze me. I love this cover, and if the atmosphere is indicative of the kind of story it contains, I think I’m really going to like this one. 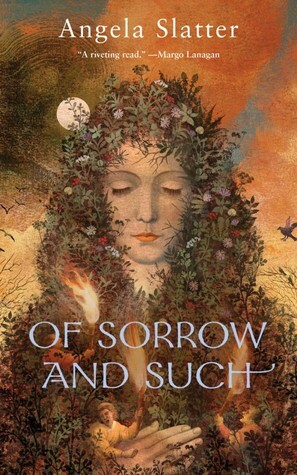 This Savage Song by Victoria Schwab – My thanks to Greenwillow Books for approving me for this eARC via Edelweiss, since I’ve been curious about it for a while. I’ve only ever read the author’s adult novels published under “V.E. Schwab”, never any of her YA, so this should be interesting. 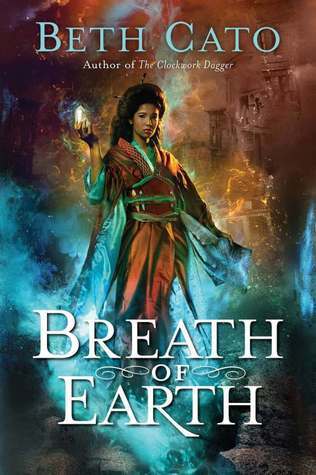 Breath of Earth by Beth Cato – I’ve had this on my wish list ever since I first glimpsed it in Harper Voyager’s catalog, because OMG how can you miss that gorgeous cover? Thank you so much to the publisher for approving me for the eARC. 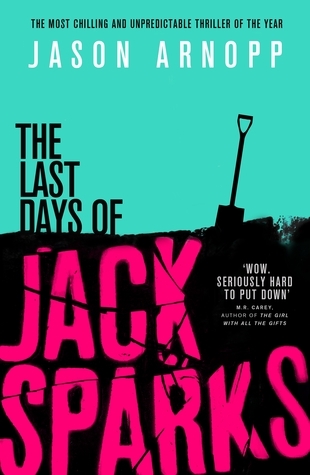 The Last Days of Jack Sparks by Jason Arnopp – I didn’t become aware of this book until recently, but the description immediately caught my attention. I believe it has only been widely released in the UK, though fortunately for US readers, the ebook is actually available now (while the print edition won’t be released until September). 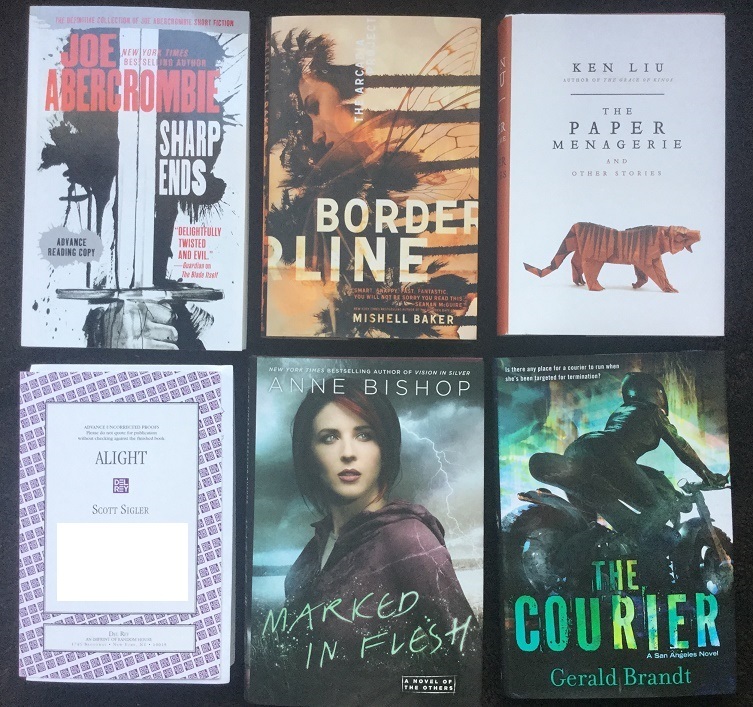 With thanks to Orbit, who offered it along with their March review copies. I figured I’d take a look. 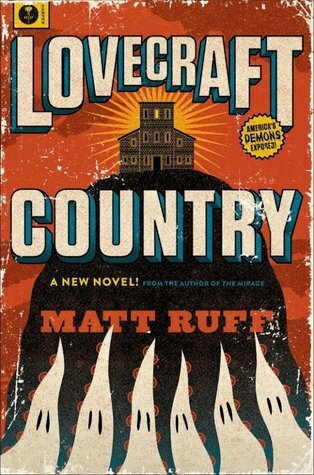 Lovecraft Country by Matt Ruff – Audiobook, with thanks to Blackstone Audio and Audiobook Jukebox. I admit, the mention of “Lovecraft” made me sit up and take a closer look. This book appears to be much more than just horror though, exploring deeper topics like social themes and racism. It’s gotten some amazing reviews already, so I can’t wait to listen. 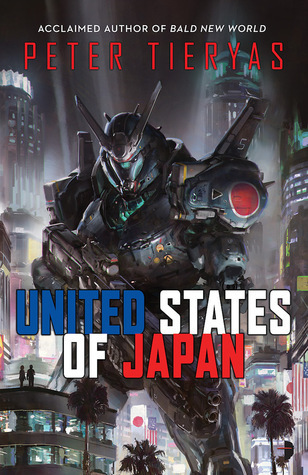 United States of Japan by Peter Tieryas – Audiobook, with thanks to Audible Studios. I’d heard overwhelmingly positive things about this book as well, so when the opportunity to request the audio came up, I seized it. I’m almost finished listening to it now, and everyone is right – it’s excellent! Here are all my reviews since the last update, gathered together and listed here for your convenience and viewing pleasure. It’s been a pretty great couple of weeks. While it’s only March, I’ve already given many 4.5 or 5 star ratings. There’re just too many good books! And believe me, I am not complaining. My thanks to the authors who stopped by The BiblioSanctum last week! We had a couple of wonderful guest posts. As you can see, I was in all kinds of moods these last two weeks. Sometimes I would feel like an epic fantasy. Or a horror. Or sci-fi. I also caught up with a couple of novellas. Generally, I like to bounce around genres and formats, in order to keep things fresh. 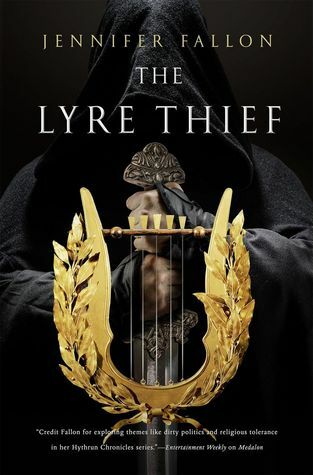 This update, I want to highlight The Lyre Thief, which was excellent. I also wanted to try something completely random for this month’s Backlist Burndown so I picked up Jaws, which was a fun and eye-opening experience. Keep an eye out for my reviews of these books in the coming weeks. Ohhh, James Gunn! That’s a name from my past (long past…) reading: unfortunately I can’t connect my memory with any of the titles in his bibliography, so I must have read his work in translation (it WAS long ago, indeed! ), but the mention of his name brought up a feeling of happy recognition, so I must have enjoyed what I read. I’m happy to hear that you’ve enjoyed his work in the past! Me, I was totally clueless. And pretty ashamed too, to be unfamiliar with a grand master of science fiction. Transgalactic looks like a short book and a real fast read, so I’m going to have to check it out. it’s impressive! yay for so many great books to read! 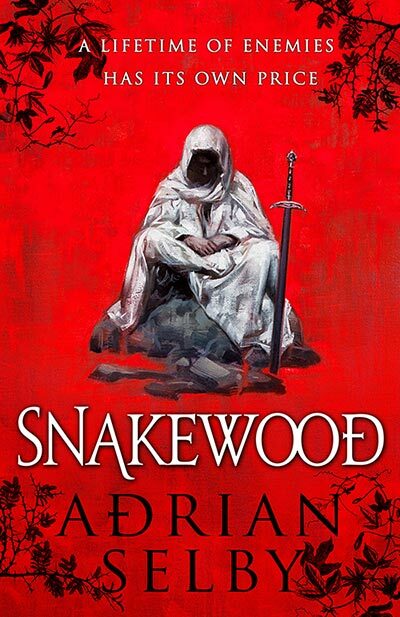 I haven’t read Brian Staveley’s Trilogy yet – and I really, really want to. (I do know about the Speculative Herald’s giveaway, btw. *winks*) I’m also interested in hearing more about Borderline and Breath of Earth (which I totally agree – GORGEOUS cover! ), so I’ll be looking forward to your reviews on those books. I’m going to push hard to work Borderline into my reading this spring – I haven’t been seeing a lot of coverage for it, but what I have seen is all positive! I wasn’t nearly as impressed by Liu’s short stories as I was by Grace of Kings, but there were a few winners in the collection. The Last Mortal Bond was, of course, fantastic – I’ll have my review coming this week as well. I think that is to be expected with collections, I have rarely read an anthology where every story in it is a winner. But sounds like there are some gems, so I’m all for it! I really enjoyed Marked in Flesh, so I hope you will too! And I have yet to start The Chronicles of the Unhewn Throne, but I have the first book on my shelf. I have no clue at all why I haven’t started it yet. I really want to read The Lyre Thief too. Lots of good books out and about at the moment. I want that Wolves book in my life. I’m trying to be good because I think I’m getting overwhelmed but even in spite of trying to be good I still look at other people’s books and want them all *inwardly groans*. I think I need help! I do that too, and publishers don’t help either by sending me all this tempting stuff 😀 I wish I had a time turner so I can add more time to my day to check out all these books, or failing that, I wish I didn’t need sleep. I could be using those extra hours to read, lol! Oh my goodness! I can’t wait to start on Dark Side- I got a eGalley and I’ve been trying to wait until closer to the release date to read it. Also looking forward to reading This Savage Song when it comes out! The Dark Side looks so good! I love mystery noir…in space! I really hope that you like Borderline. *Fingers Crossed* So many amazing books this week. Happy Saturday! I’m really excited about This Savage Song, obviously. I hope you’ll enjoy it! I read all her books except for The Unbound, I really liked her YA stuff. 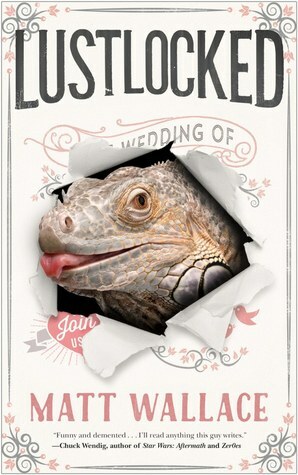 I’m curious about Abercrombie’s short stories, I’ll be looking out for your review – I have a love-hate relationship with him (he writes good books but is HORRIBLE with series endings, ugh). Sweet! I really dug Vicious and ADSOM wasn’t bad – and I hear she’s really in her element when she writes YA, so yeah I’m pretty pumped! Sharp Ends!! Very exciting! And so many great books! I am about a third through Jack Sparks, it is entertaining and kinda creepy. Reminds me a little of Horrostor in how it combines those two elements. So happy to hear that! Jack Sparks wasn’t even on my radar until a few weeks ago, so I’m always curious about books that sneak up like that. Gah, I don’t know how you can wait! But I understand, nothing beats the feel of a real book in your hands. I really liked This Savage Song! And as usual, I’m jealous of your stacks of ARCs. 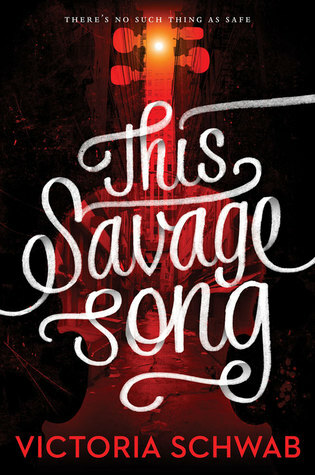 Woohoo, glad to hear a positive early review for This Savage Song already! Looking forward to it! Oh United States of Japan! 😀 Looking forward to your review of it! Borderline sounds super cool, I requested it from Netgalley and I didn’t managed to get it… 😦 I wil have to buy it haha. I really want to read The Last Mortal Bond, I am pretty sure that I am not going to be able to read it this month but I really hope that Staveley is going to write an epic and satisfying conclusion! I hope ALIGHT delivers for you! I’m currently working on Book III, ALONE. Great haul this week. I still need to start The Others series. I think I own the first book already. I love when my book reading mood varies genre to genre a lot. It’s rare for me though. I tend to get stuck on one genre for quite a few months before moving on. 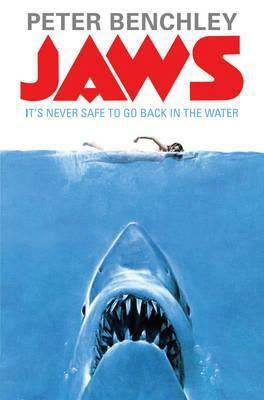 I’ve been thinking about reading Jaws for a while. Can’t wait to see what you thought of it.